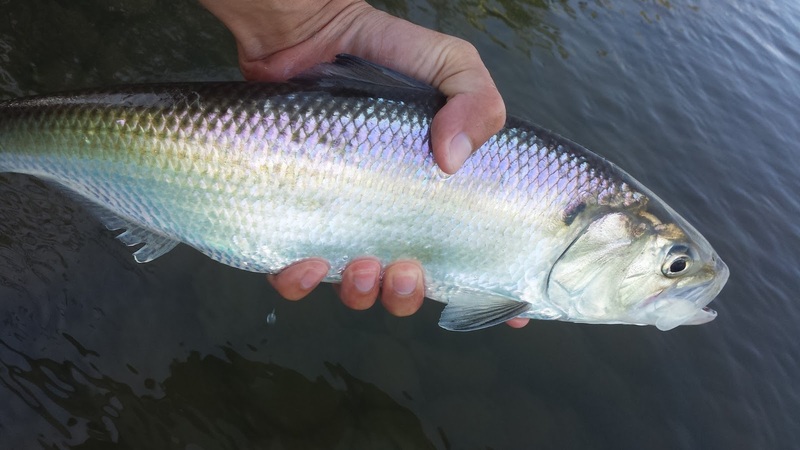 Grub style fly patterns are the usual go-to for American shad for whatever reason they just work. Shad can be quite particular about the color/size/pattern you present them, therefore having several patterns in different colors and sizes is necessary in finding what's working. 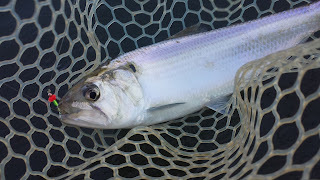 Here are tying instructions for a simple grub pattern that works really well for American shad in the California valley. 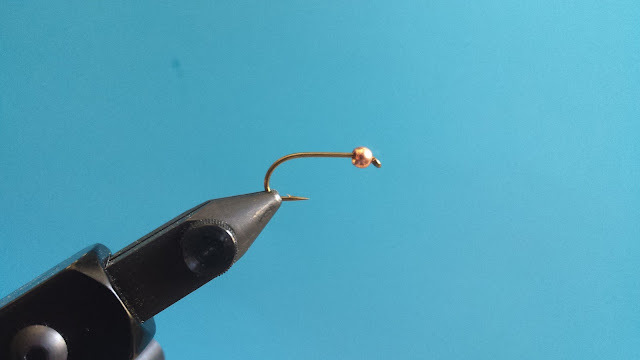 Step 1 - Start by threading your beadhead on to the hook. 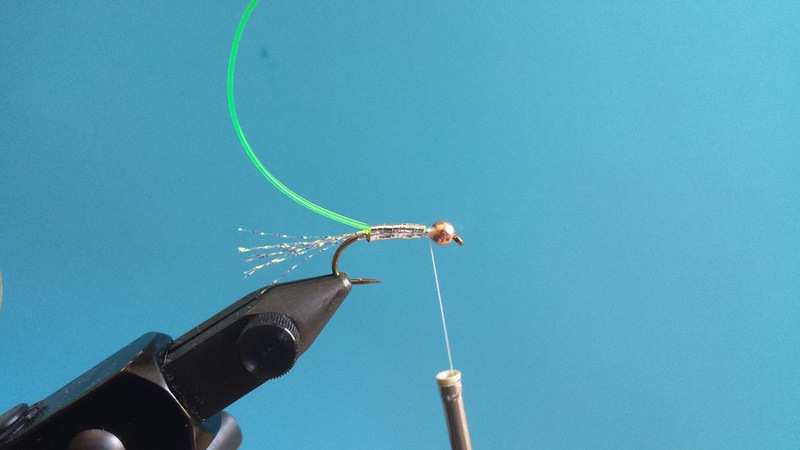 Step 2 - Tie about ten strands of krystal flash from the beadhead to the bend of the hook. 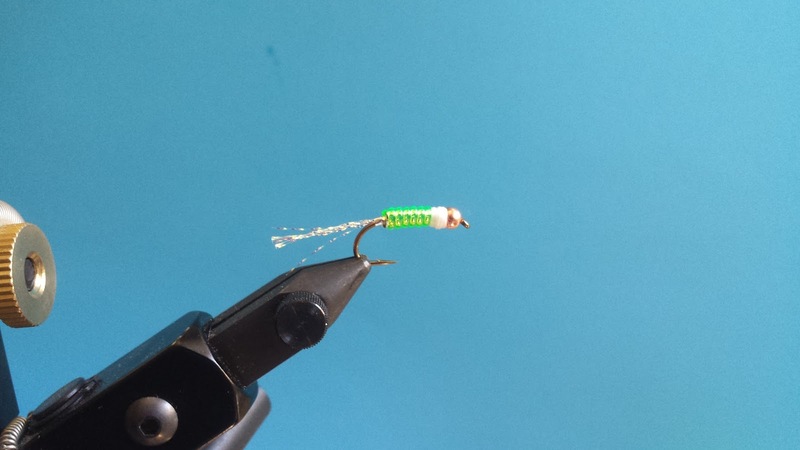 After tying in the krystal flash, cut the excess krystal flash until it is about the length of the hook shank. Step 3 - First tie in the tinsel with the gold side facing out then tie in the vinyl ribbing. Be sure to tie in both the tinsel and the vinyl from behind the beadhead so that the materials stay even. 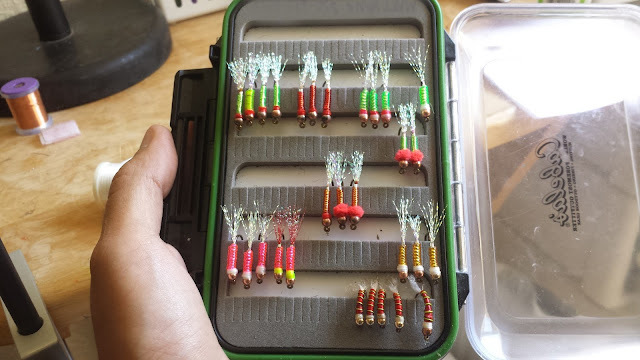 Work your thread back up to the beadhead after you secure your materials. Step 4 - Begin wrapping the tinsel (silver side) starting from behind the vinyl. Wrap the tinsel tightly until you get to the beadhead. Secure the tinsel with a few thread wraps and cut off the excess. Step 5 - Begin tightly wrapping the vinyl ribbing to the front of the hook. 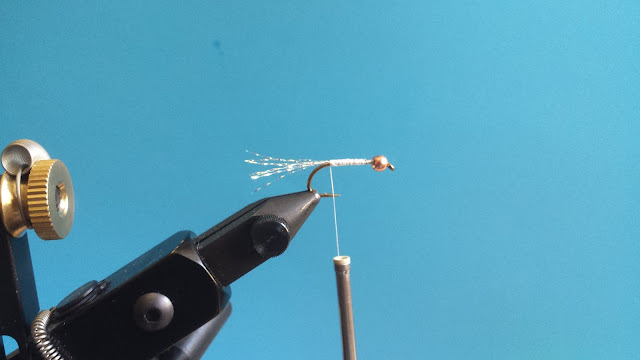 Secure the vinyl and cut off the excess when you reach the beadhead. 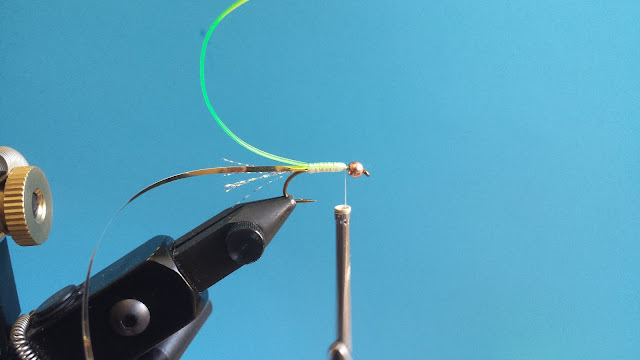 Step 6 - Build a bulk of thread behind the beadhead and whip finish. Dab a bit of Zap-A-Gap around the thread to make sure it stays durable. Finished! 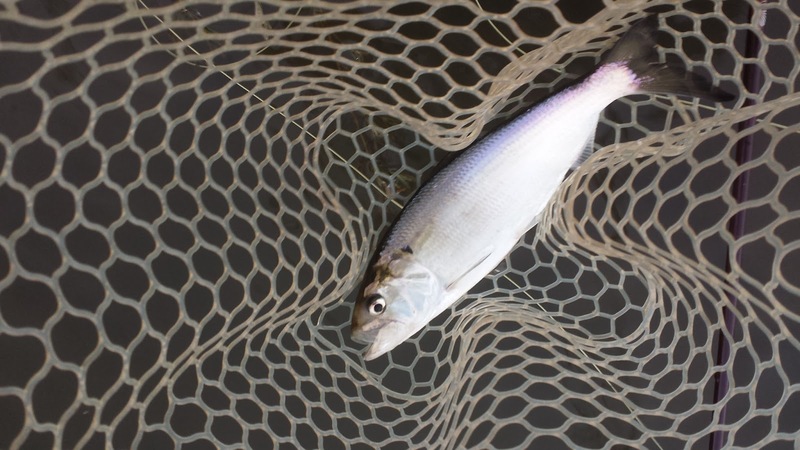 Having an arsenal of different shad flies will make you more productive during the run. 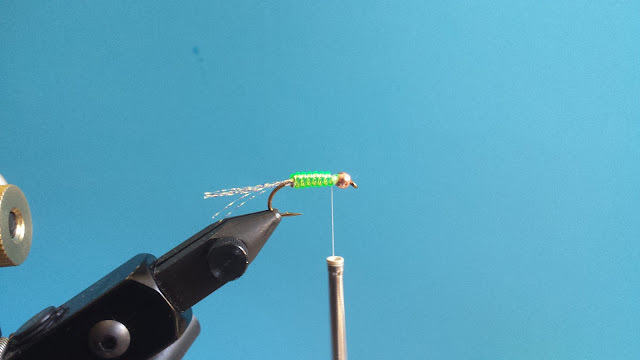 Remember to switch flies often to figure out what's working. Try tying Ryan's Shad Dart with different materials to meet your needs. I'd say that the pattern you use for American shad only dictates about 40% of your success, the more important 60% comes from how you present your flies. Don't stick to just swinging all day, vary your presentations!